Toronto sword fights | AUTHOR. ACTOR. SWORDSMAN. ← Swords and Words in Toronto! 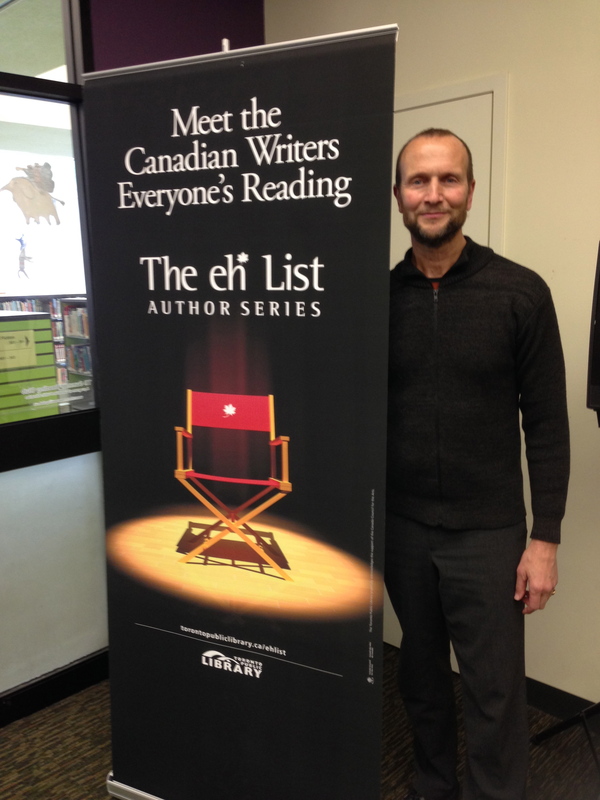 Great couple of events in Toronto, at the libraries. First one, solo, second with the mighty (and fully armoured) Christian Cameron where he held off gutting me as we exchanged gentle blows. All to talk about SHAKESPEARE’S REBEL and his terrific novel of the Hundred Years War, THE ILL MADE KNIGHT. Also had great encounters – with an old actor friend from New York, Bruce Winant. My old director chum, Allan Eastman. And some drinking with wonderful actor John Hurt who I appeared with in ‘Scandal’ 25 years ago. He told some great, indiscreet stories – my god, the man’s worked with everyone! And we had a wonderfully heated exchange on Shakespeare. He’s an Oxfordian and I am definitely not! This entry was posted in Uncategorized and tagged acting, book tours, historical fiction, novels, publishing news, shakespeare, swords, writers. Bookmark the permalink.